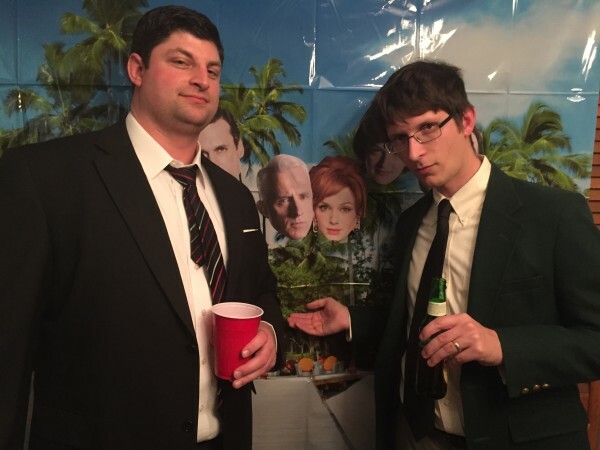 Of all the events we host, our annual ‘Mad Men’ party is James’ favorite. He’s a sucker for anything ’60s. 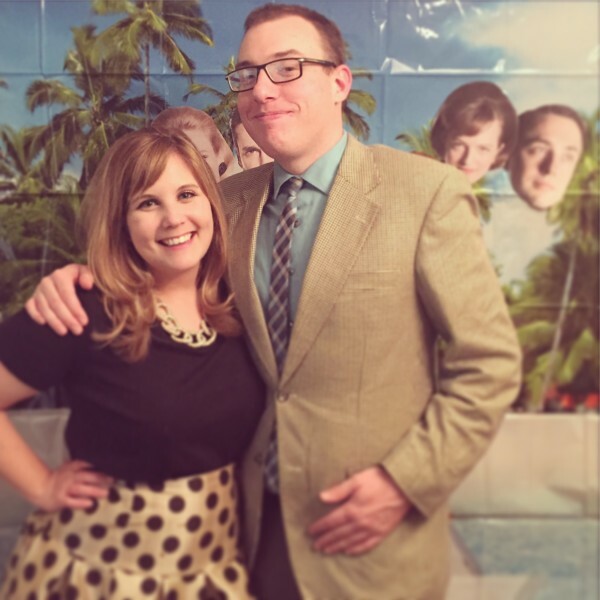 Everyone dresses up in 1960s-inspired attire, which is the best part. James picked up a blazer from a local vintage store and I finally got to wear this gorgeous ball skirt I ordered from Shabby Apple. I’m obsessed with how feminine and classy it looks. To go along with the theme, we incorporated some popular ’60s foods into the menu. 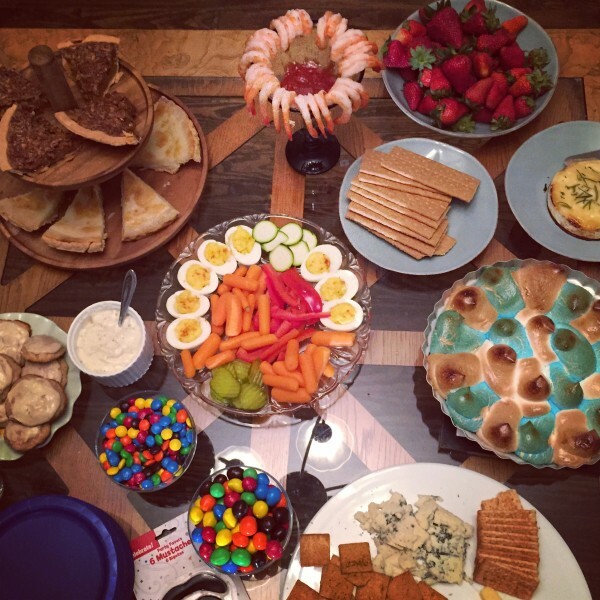 I made healthier deviled eggs from A Kitchen Addiction, Camembert fondue, banana cookies, and chocolate peanut butter Peeps s’mores from How Sweet It Is (not from the ’60s, but fun and festive since we also celebrated Easter Sunday). I also set out shrimp cocktail, pecan pie, sugar cream pie, fruits, veggies and a cheese plate. My trick for making parties easy is incorporating some semi-homemade, store-bought foods. James took care of the music and made a playlist of songs that came out in 1969, which is the year the last episodes of the show are set in. We had it playing in the background throughout the evening until the premiere started. The party was an absolute blast. Sadly, there are only a few episodes of the show left. But, that’s all the more reason to throw a Mad Men party! When you do, make sure you print off these free masks to use as photo props or decorations. People loved seeing them featured in our makeshift photo booth.